Are your appliances unreliable or broken? One call to Mr. Appliance in Gaithersburg could make sure all your appliances work perfectly for a long time. Our appliance repair technicians have years of training and experience, meaning we can handle any appliance issue you might be having in one visit. We pride ourselves on not only offering the best service in the industry, but also the fastest response times. Schedule your service today! We offer upfront prices with no hidden fees. Why Should You Call Mr. Appliance? As a homeowner, you have a lot of options when it comes to your appliance repairs, including doing it yourself. However, while your household appliances may appear simple, they are complex machines. Doing repairs yourself can risk further damage, create a mess, and void your warranty. Give your repairs to the qualified professionals. 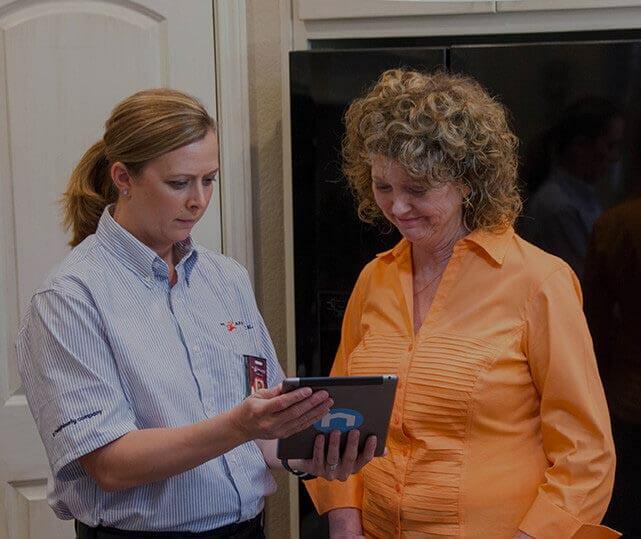 We handle repairs for all appliances from major manufacturers while keeping your home clean and functioning. In addition, our workmanship is guaranteed for up to 1 year, ensuring your appliances continue to function long after we do our repairs. What does Mr. Appliance offer you? In the end, Mr. Appliance in Gaithersburg offers you time, convenience, and the assurance that your household will be in perfect working order after we leave. You don’t have to worry about setting aside the time to fix it yourself, and you don’t have to worry that we only offer quick, short-term fixes. Our dependable team will be there on time for you. Let us handle your repairs—with our guaranteed workmanship and years of experience, your appliances will be working in no time. Contact our Gaithersburg appliance repair company to schedule your service!